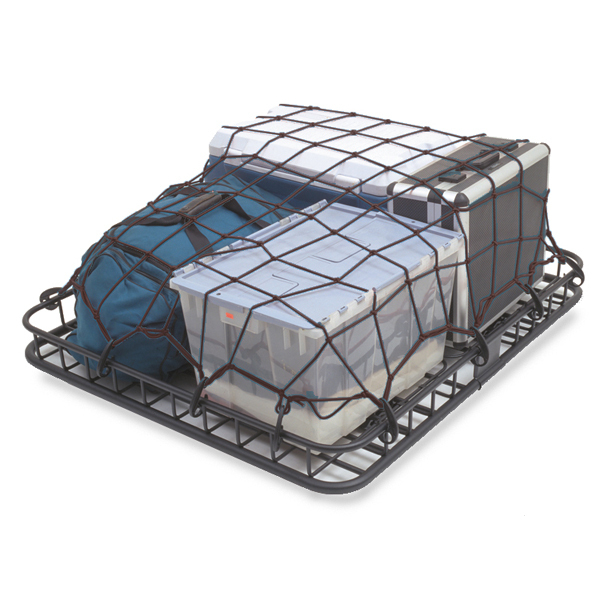 This universal nylon roof rack cargo net not only adds a cool look for your Jeep, but it provides extra storage above the spare tire. These nets feature heavy-duty, vinyl-coated polyester fabric for maximum durability. Mounts to the existing hole in the tailgate. Holds up to 50 lbs. Static 30 inches x 44 inches, full extension 48 inches x 77 inches.